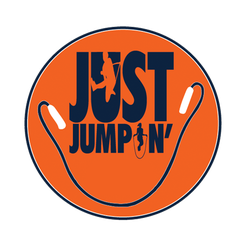 Established in 2003, Just Jumpin' is a competitive jump rope team at the regional and national level. Just Jumpin' has been competing since 2006 and is a nationally ranked and recognized team. Just Jumpin' consists of 24 team members who travel throughout the state of Utah and southern Idaho performing and teaching jump rope techniques to groups and individuals at schools assemblies, half time shows and community and corporate events. proficient, expert jumpers and are enthusiastic in teaching jump rope to all ages. Patrice Winn is the head coach of the Just Jumpin' Team and President of The Jumpin' Company. She conceived and established Just Jumpin’ in 2003 and currently coaches, manages and administrates the team and its associated 501(c) 3 non-profit corporation. Patrice's passion with jump rope is to expand the sport throughout the state of Utah and beyond to help children become more healthy and physically fit. Patrice has been teaching physical education for 17 years. Just Jumpin’ jump rope team competes in regional, and national jump rope tournaments. Jumpers participate in up to 13 events including speed, single rope, double dutch and team show. Just Jumpin’ has successfully placed in the top 10 teams in the USA Jump Rope nationals competition. We had Just Jumpin' come out to our to school and it was an amazing assembly! I would highly recommend Just Jumpin'. Just Jumpin’ has been entertaining our Weber State basketball fans for years, and is a staple to our halftime lineup. Their high-energy performance engages and entertains our fans from start to finish each time they visit the Dee Events Center. Having a child jump with the Just Jumpin team has been such a positive experience! Not only is it a team that teaches skills and sportsmanship, but it builds confidence, keeps them active and gives them a chance to make friends while doing something they love almost daily!